The dragon and phoenix in China represent yin and yang, male and female, and are lucky presented together. 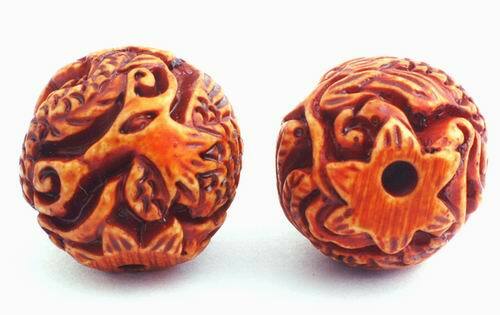 Price is per 10 of these beautiful moulded beads. Each measures a large 21mm with a big 3mm hole.